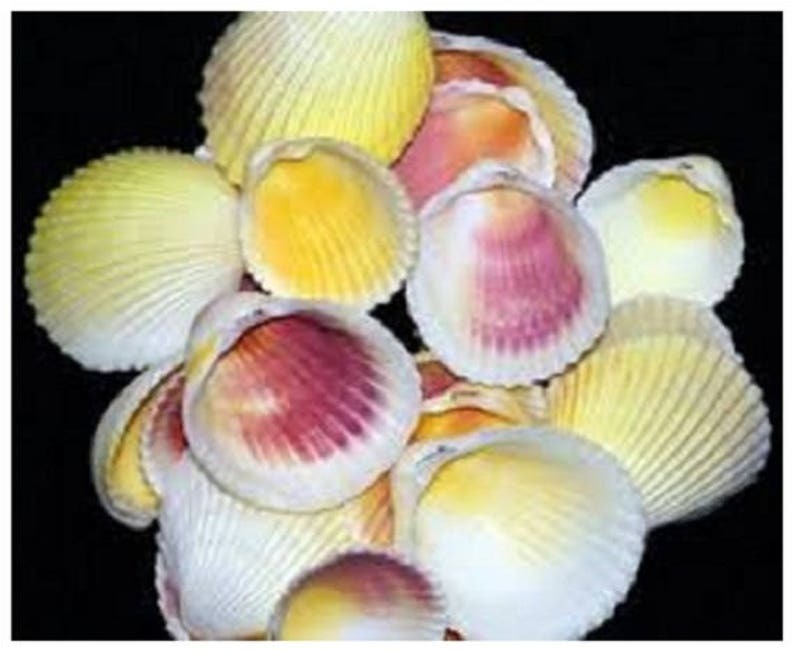 The Unique Colored seashell are shades of Yellow with shades of Rose, Pink or Purple on the inside. Easy to use, great for crafts, Jewelry making, can be used open side up or down, or to accent a mix of glass chips or marbles. You decide, there are so many ideas and uses! The seashells measurements are 1" - 2". Great care is given when packing and shipping authentic seashells. Seashells shown in photos are from stock photos, your seashells will be very similar. 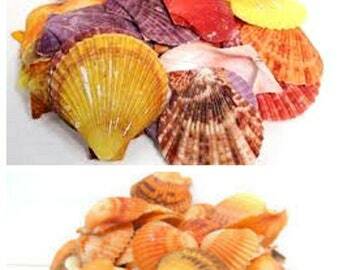 All bulk bags of shells may contain some broken/chipped shells.